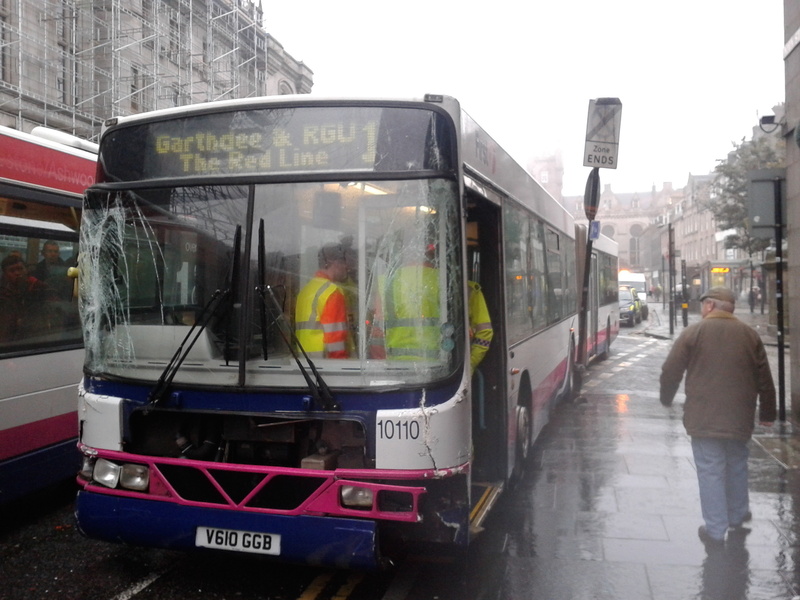 Motorists have been warned to expect delays after a bus hit a lamppost in Aberdeen city centre. The First Aberdeen bendy bus struck the post, outside The Athenaeum, on the city’s Union Street, at shortly before 10.30am. A police spokeswoman warned drivers to expect delays in the area. She said Scottish Hydro Electric would attend the scene to make the lamppost safe before the bus could be moved.